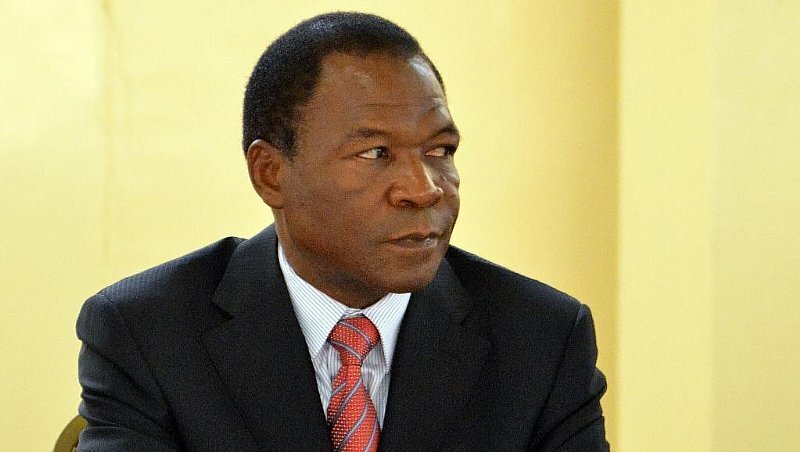 One of the major exemplars of impunity under the regime of deposed president Blaise Compaore – his brother, François - is set to be extradited from France to Burkina Faso. The ruling in France this week represents a significant step forward in righting the wrongs of Compaore's 27-year iron grip on Burkina Faso. Suspected of having a hand in the assassination of investigative journalist Norbert Zongo and three of his colleagues in December 1998, a Paris appeals court has approved an extradition request. François was arrested under an international warrant at Charles de Gaulle airport in October. Burkinabes have looked forward to the day that justice would be visited on those in the ex-president Compaore regime, says David Zounmenou, Burkina senior political expert with the Institute for Security Studies in Pretoria, South Africa. “François had been protected by his brother, then-president Blaise Compaore, for many years, and since the collapse of the regime, questions have emerged about the possibility to present this case before the judges,” Zounmenou told RFI. Zongo had been investigating the disappearance and suspected death of a driver, David Ouédrago, who worked for François. Ouédrago, who was accused of stealing money, was allegedly tortured to death in December 1997 and his body was never found. After Zongo started his investigation into why the Burkinabe Presidential Guard had taken away Ouédrago, his family said he had been threatened. Zongo, his younger brother, and two colleagues were found outside his house in December 1998. Three of the bodies had been burnt beyond recognition inside a vehicle. The fourth, driver Ablassé Nikiema, was found outside the 4x4. The murder of Norbert Zongo and three of his colleagues in December 1998 kicked off a month of riots and demonstrations throughout the country. Burkinabe journalists and popular opinion saw his murder and immolation as yet another example of Compaore's impunity, which began when President Thomas Sankara was assassinated in a coup in 1987. Political revenge, or a cut-and-dry murder case? “During Compaore's time, everyone knows what justice was about in Burkina Faso it was everything but justice,” says Zounmenou, who was in Ouagadougou in 1998 and witnessed the protests. Burkinabe Minister of Information Remi Dandjinou says he has confidence in the justice system, adding that this is not a political case, but a case based on facts. “These are crimes that have no statute of limitation. Justice needs to be given to Norbert Zongo,” he says. Members of Blaise Compaore's political party, the Congress for Democracy and Progress (CDP), do not necessarily agree. “We are facing a case that is more political than judicial,” Achille Tapsoba, president of CDP, tells RFI. “I have no confidence in our justice system, which has shown us its limits. We are witnessing a justice system which acts arbitrarily; a justice system which acts at different speeds and on a basis of winners over losers. Courts are far from being sane and sacred places for where law is practised,” says Tapsoba. While he agrees that the Zongo case needs to be explored further, Tapsoba says he would not be surprised if François was found guilty by the current justice system. Minister Dandjinou told RFI that Burkina Faso was satisfied with the French government's decision to extradite François to Ouagadougou. “We feel that he needs to be held accountable, he needs to explain what happened, he needs to defend himself,” says Dandjinou, adding that his extradition does not mean he is guilty. “He will come and defend himself and he will be able to see that our justice system, unlike the one when he left the country, is efficient,” says the minister. The current Burkinabe court system is not perfect, says analyst Zounmenou, “but at least there is the sense of an independent justice system in the country.” He adds that Burkinabé General Gilbert Diendere is currently in court over his alleged coup plot. “Everybody has a chance to present their argument before the court, contrary to what used to happen during the dark years of the Compaore regime,” he says. “It's been going on for 20 years it's not a political case. If it is, they are the ones who politicised it, because they're the ones who have been in power for years,” he adds, referring to Compaore. Next week will mark exactly 20 years since Zongo and his three colleagues were killed, but Zounmenou says Burkinabes have been waiting for this trial to begin. “It's just a positive outcome in the quest for justice and the truth, but also to ensure it never happens again and journalists are free to exercise their function, no matter where they are and who they're dealing with,” says Zounmenou.